American-made, time-tested, the Woodman’s Pal ($75) hearkens back to an earlier age. Its steel is thick and will hold an edge through multiple brush-clearing expeditions. It’s branch hook is perfect for your deer stand or for trimming limbs around the campfire. 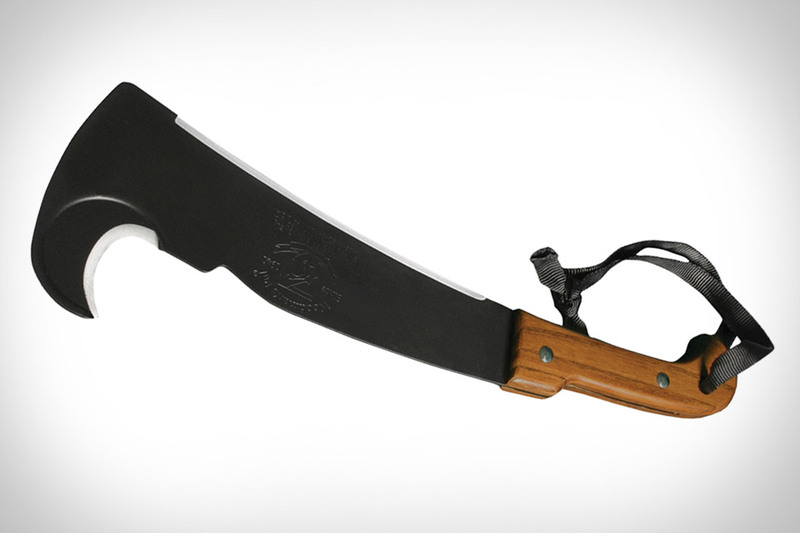 Where this compact little machete/axe hybrid really shines, however, is its ability to fell surprisingly–shockingly–large trees. In less than fifteen minutes you could bring down a tree nearly as thick as the tool is long. My Woodman’s Pal came with a sick, high-quality cowhide case which will last at least a generation, and there’s a good chance it will need to. If you’re looking for a Christmas present for the man in your life, it’d be hard to go wrong here.